How many art works can you name from the Lytham St Annes Art Collection? In 2013, we compiled a mini-survey about the collection which included this question. The answer we got from most people was ‘Not many.’ Two or three was the average that people were willing to admit to. Some people couldn’t name any. And this was among our own members who are already enthusiasts. We asked because we were compiling evidence for a heritage lottery Fund (HLF) application. At the end of May 2013 we received the news that our bid had been successful. The HLF were impressed with the number of you who said they were willing to get involved and awarded us a grant of £24,000 to catalogue the collection and raise awareness about it. We have now embarked on our exciting ‘Tagging the Treasures’ project, working closely with the Friends of the Collection; Fylde Borough Council, who are its custodians; the County Museums Service who provide curatorial services, and other bodies such as the Library Service and Lytham St Annes Civic Society. The history of the collection has been chequered. The first donation, Richard Ansdell’s The Herd Lassie, was given by John Booth of the grocery chain in 1925. Six years later, Alderman James Dawson, donated another Ansdell painting, and over time, gave many more art works including an outstanding work by Henry Fuseli . Others followed their lead and stream of donations and bequests followed that continues to this day. 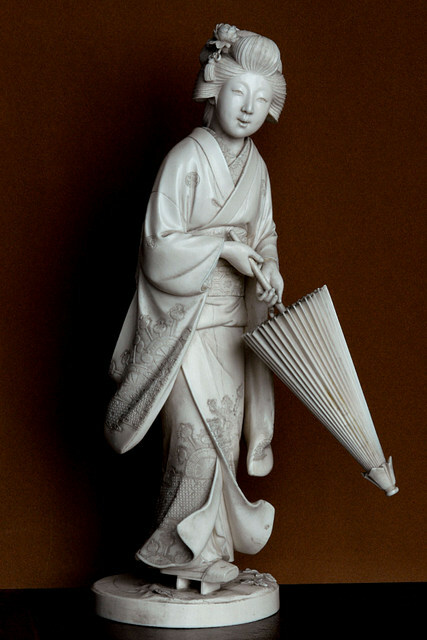 These early donors, inspired by philanthropy, idealism, and civic duty, envisaged that a gallery would be built to house all these wonderful works, which grew to include ivories, bronzes, marble sculptures and items of furniture. The idea for the gallery gathered momentum over the years, but the political will was never quite there and the venture came to nothing. The Lytham St Annes Corporation eventually merged into Fylde Council. Meanwhile, the collection began to gather dust. Some art works were on display in the town hall in rooms where they couldn’t be seen except by staff and councillors and many more lay neglected in the basement. A collection of art works of this calibre consisting entirely of donations and bequests is extremely rare, but not only were these precious gifts poorly stored, they were inadequately recorded which meant there was plenty of scope for items to go missing. There were several attempts at cataloguing, but it was only in 2001 when Stephen Sartin, formerly of Lancashire museums service, produced anything like a definitive listing, pulled together from council minutes and various disparate documents. This was a mammoth task, but at last, some records were available about what we had and where it could be located, though the paucity of information left even Sartin stumped. For example on Christmas Eve 1945 the council minutes note that “Four gallery pictures” were given by Mr. Fred Treasure. Who was the aptly named Treasurer, and which pictures did he donate? Surely somebody out there can give us the answer to that. The dream of a permanent gallery didn’t go away, and things came full circle when Booths, in 2007, built the Fylde Gallery above their new supermarket in Lytham. This provided a long-term home for The Herd Lassie, and a bright modern space for a series of exhibitions by local groups, including our own Young Arts project, ‘Drawn from Youth,’ which regularly features on the exhibition calendar. It also allowed an opportunity to allow themed exhibitions from the Lytham St Annes Art Collection so that some of these works could (literally!) see the light of day once more. Thanks to the work of the Friends and others, awareness and appreciation of the collection is growing and its future is looking much brighter. There is now real commitment and support for the collection from both Fylde council and the museums service. Conservation work continues slowly on a limited budget though there have been some recent boosts. The Civic Society sponsored the restoration of Lytham Sandhills by Richard Ansdell, and the President of the British Lawn Tennis Association. Peter Bretherton, generously paid for the restoration of The New Curate by Percy Craft. Sadly, many local residents don’t realise that this collection exists, and what an amazing asset it is. We hope to change all that. We have recruited a team of researchers who can fill the gaps in our knowledge and add interest and colour to the basic facts that we have already. For example, there are two lovely landscapes by E. Bennet . We have no dates for this artist, two different spellings of Bennet, and what does the E stand for? Your guess is as good as ours. Again there is nothing coming up on internet searches, but we do know who the donor was. Being an art sleuth might mean looking at census entries or newspaper records as well as art books and catalogues. 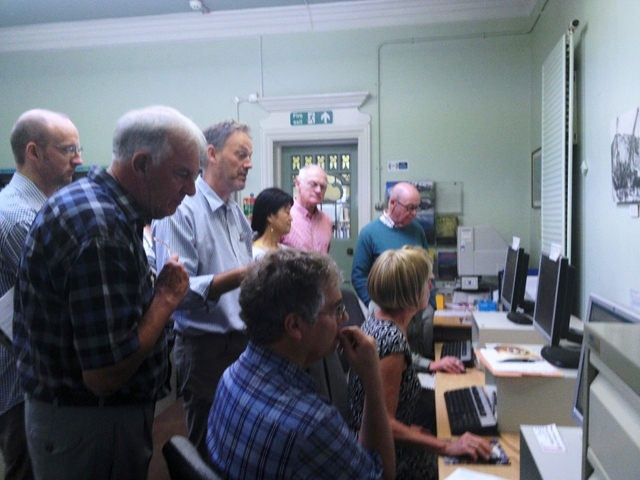 In order to help our Taggers with their research, we held four sessions at St Annes Library for Taggers to meet Lancashire’s Community Heritage Officer, who explained about the resources available through the Lancashire Library loans systems. Taggers had the opportunity to view relevant books, maps and directories as well as online resources such as ancestory and county records websites that are very useful for research. The Taggers also had a visit to the Lancashire Record Office to find out more about searching archives that may be useful for their research. In early 2014, Taggers were treated to a day’s course at the Lancashire Conservation Studios, where they learned how to handle and store artworks, how to avoid damage from pests, etc, and maintaining the right conditions for storing and exhibiting artworks. We held a series of roadshows and displays, lectures, heritage open days and exhibitions. All these activities were free of charge to ensure that they were open to everybody. Our hope was that the project would act as a catalyst for people to increase their knowledge about wider aspects of art so we provided sessions on curating skills, and conservation and collection care, and even on filming and uploading video so that we could document what we had done and produce a DVD about the project and the collection. The culmination of our combined efforts resulted in a comprehensive visual catalogue with information about the art works, artists and donors. A website was created to publish ongoing research, liaise with fellow Taggers, and post news about events etc. You can also find more information about the project there.